With MyAccount, you are able to change your plan online without the need to contact us. 2. 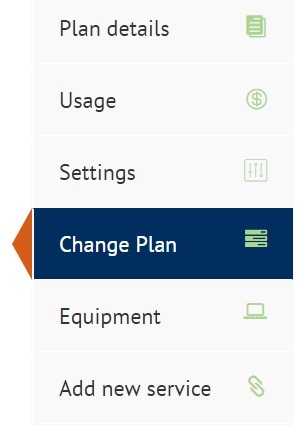 Under the “Plans + Usage” tab, click on the active service you wish to change the plan for. 5. Confirmation screen will appear confirming your current plan, new plan and the plan change fee if applicable. Click OK to proceed.